Who is fed up of losing the little clips your girls wear? I know I am! 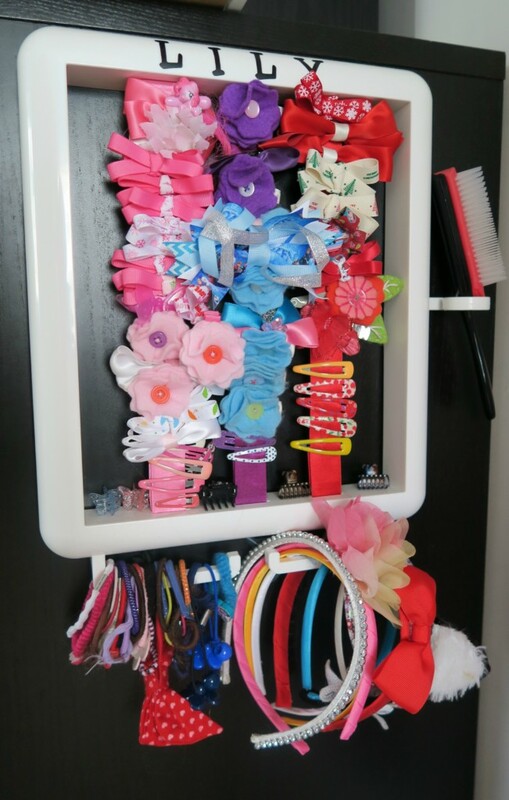 I have twin girls who have so many hair clips, hair bands and general hair bits. 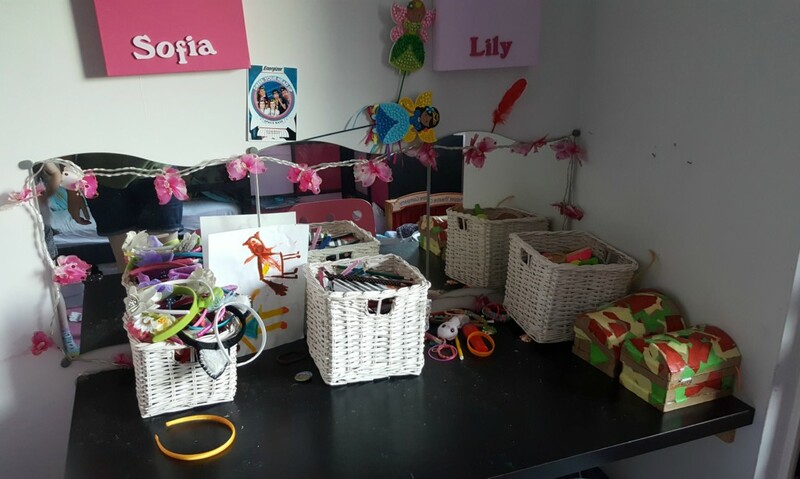 We have been storing everything in a basket on their desk but it is a mess! They love drawing, collecting treasures and like to keep hold of lots of tat! Their desk looks something like this all the time….and this is good as I had asked them to clear some of the paper the day before! So when The Hair Helper offered my twin girls a solution to this mess, I took them up on their offer straight away!! We were sent two of The Hair Helpers, one for each twin. It is really nice to give the my girls one of their own, as it promotes individuality and gives them a space to store their own hair accessories. They arrive loose and not threaded together, this was really quick and simple to do myself though. To make them even more individual to them, The Hair Helper lets you personalised them. 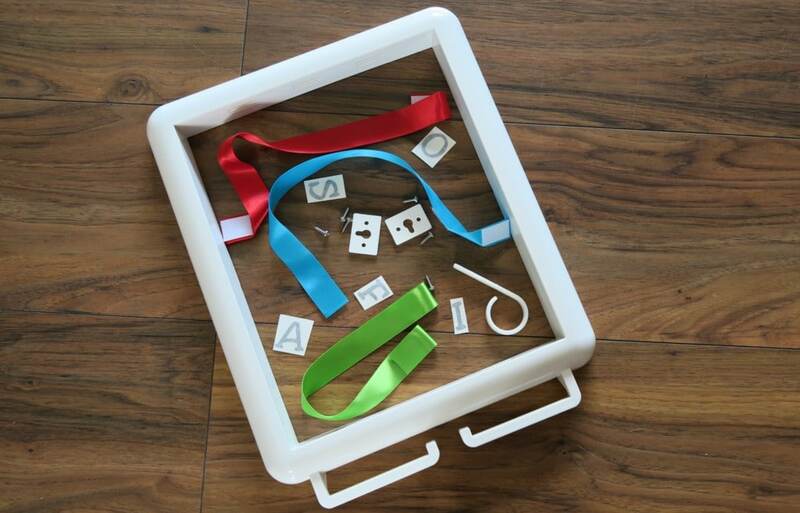 You can choose from 8 different ribbon colours, and 3 of them too! 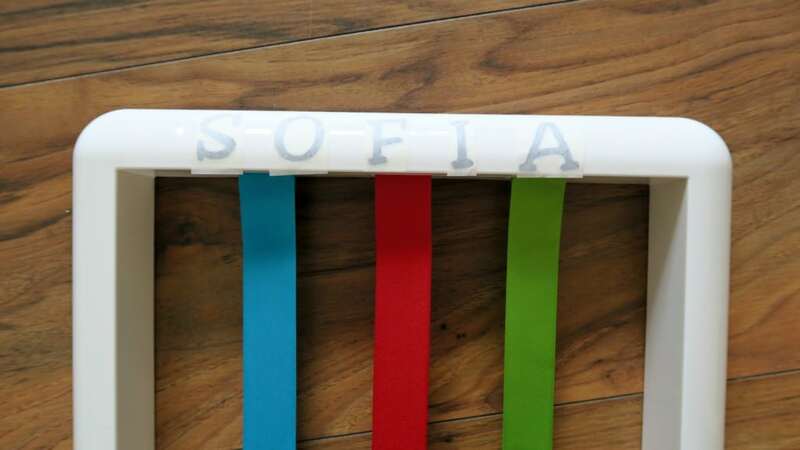 The girls loved this part as it made it completely individual to them, along with choosing the colour lettering for their name. Here I am trying to stick these letters on straight! We choose black letting to match their furniture. The girls happily loaded up The Hair Helper full of bows, which they claimed as theirs, no more sharing….!! They come with some nice solid attachment holes on the back, so we attached them both to the side of their IKEA Malm drawers. These are secure to the wall, so I don’t have to worry about it falling over. 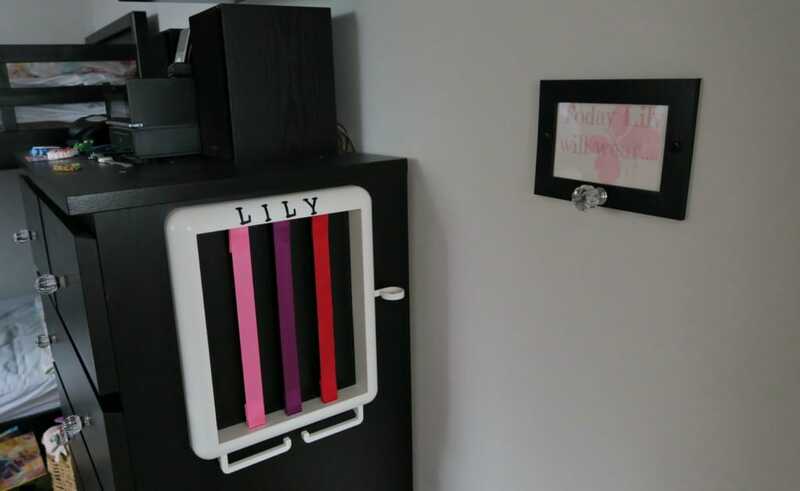 They also have their ‘what to wear today‘ hooks up on the wall near here, it makes a nice little getting ready station. With 3 rows of ribbon to attach the bows on, I don’t think we are going to run out of room. Then two hooks to attach bands and hairbands on, it’s perfect. 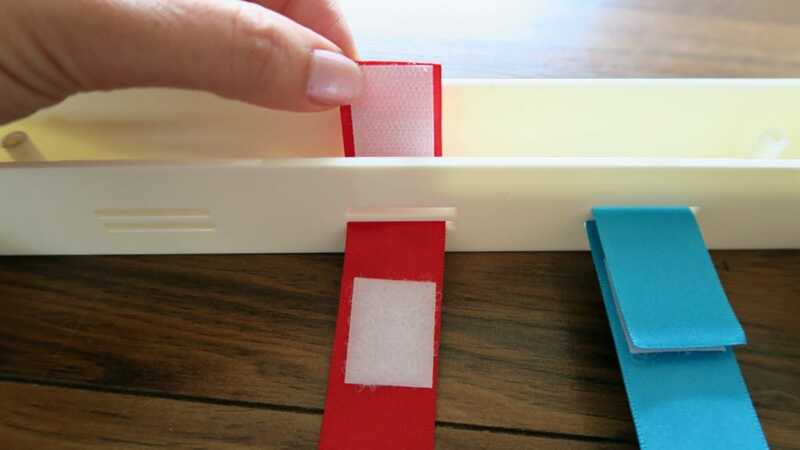 I am always struggling to find bands quickly in the mornings. With the schools starting back in a couple of weeks, these next couple of weeks are spent making sure we have everything they need, that we are more organised and I have ‘plans’ in place. Currently trying to clear through the girls bedroom and making it more organised and tidy. I love making sure things have a place. 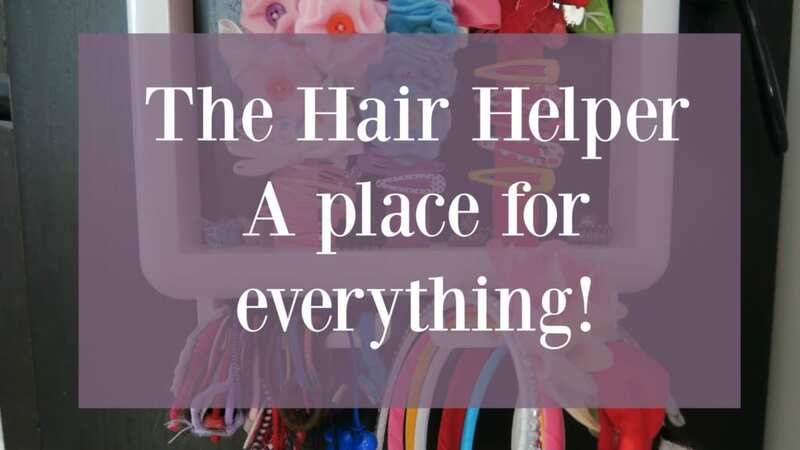 The Hair Helper is one step nearer to a tidy bedroom, and if you’re like me and trying to get ready for going back to school, then The Hair Helper has a back to school offer running too. Priced at £19.99 plus 20p per letter, I think it is quite good value. 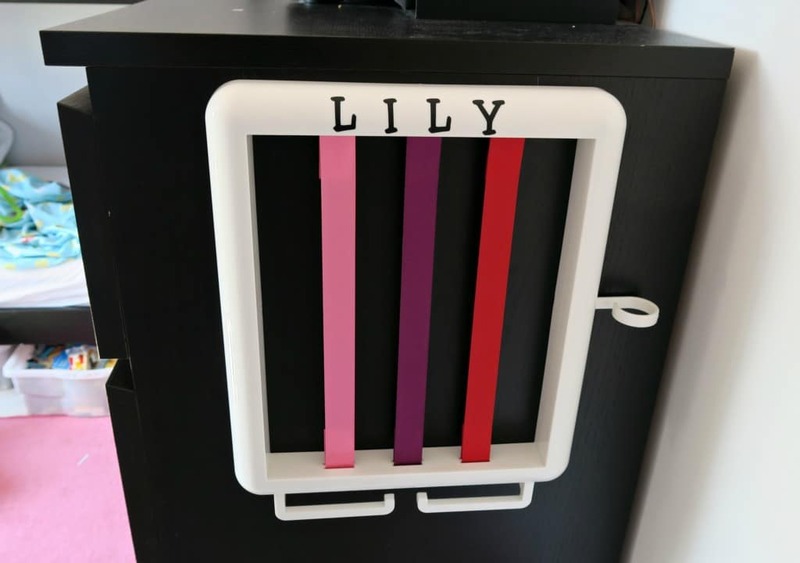 It is made well, good size and kids love knowing where things should go. So no more picking up random hair bands……! *I was sent The Hair Helpers for the purpose of this review, however all words are honest and of my own. 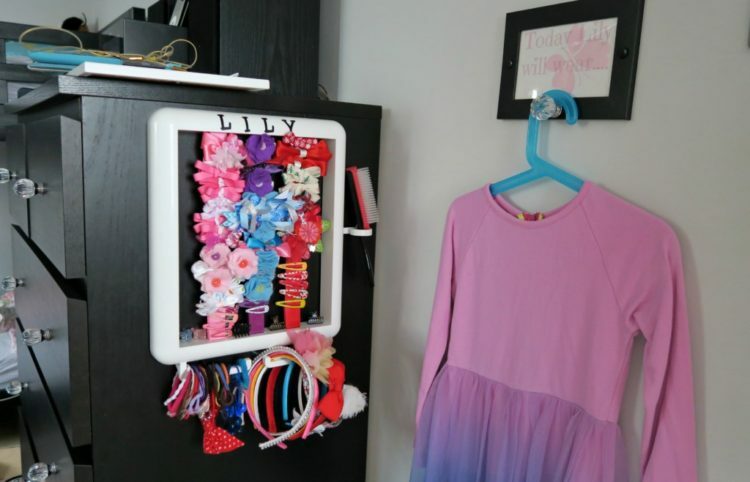 This looks great, just gt Amelia loads of new bows and clips so this would be perfect for them! Oh my gosh. What a brilliant idea!! And so simple to make too. Great idea! How long will it last? I need one for me too! SUCH a clever idea!!!!! They look great- I could use one myself! this is such a good idea. My daughter’s collection of harry things is quite small but I know it will just grow and grow and it’s already taking over!